Many churches are looking for solutions when it comes to live streaming their church services. 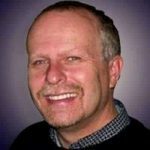 In fact, the impetus for starting Easy Church Tech was in part because of the lack of information available for churches about church technology solutions. In my effort to help you make the best decision about your live stream setup, I have done some reviews of PTZ (Pan/Tilt/Zoom) cameras. I recommended 3 PTZ camera manufacturers. They are Logitech, HuddleCam, and PTZOptics depending on the budget you have to work with. Choosing the right camera is essential. It can make or break the effectiveness of your live stream. 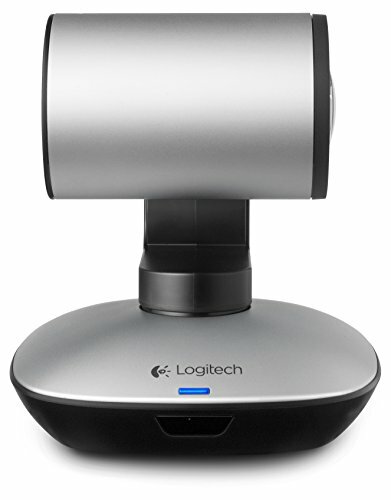 This Logitech PTZ Pro Camera review will help you decide if Logitech is the camera you need. With its wide range of features, high functionality, and ease of use, this is an excellent option if you want professional video quality. It is commonly used for conference rooms and event spaces and offers sharp resolution along with unique color. It provides a high level of connectivity and compatibility with other devices and is available at a very reasonable price given the output quality it provides. 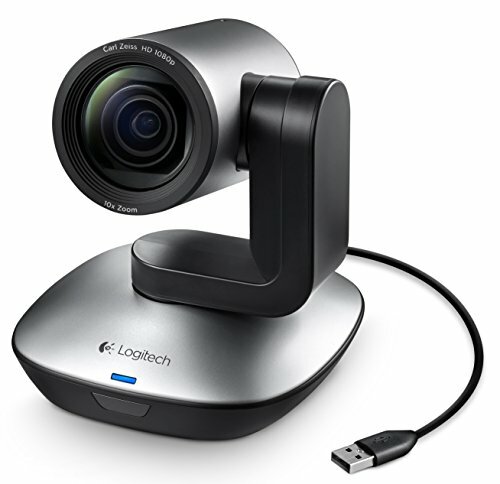 Here is a little more about Logitech and their PTZ cameras. There are various reasons why this has become a popular camera option for conferences, church services, and events. It offers total versatility and high specifications but is also very easy to use and operate. It can be used in any environment ranging from events and conference rooms to classrooms and most importantly, live streaming in a church sanctuary. The intuitive remote control makes operating the variety of functions extremely simple and convenient. Its compatibility with other systems and applications also makes it a popular choice amongst businesses and churches looking for high-quality video output. You get to enjoy a lot of flexibility and control when it comes to the visuals, and you benefit from the full HD 1080p quality that the camera provides. Also, you will receive the limited two-year warranty, which means additional peace of mind. On top of all this, the price of the camera is very reasonable, making it an excellent choice for your church. Stylish and modern in appearance. Professional video quality with sharp resolution and excellent color reproduction. Multiple mounting options along with three cameras presets. 1080p HD is running at 30 FPS. Video compression capabilities to aid streaming while reducing bandwidth use. Plug and play capabilities, with the ability to use with various devices. Ideal for conferences and events. High spec camera with a range of features. Pan, tilt and zoom capabilities. 5.12 x 5.12 x 5.91 inches in dimension. ZEISS optical lens with autofocus. You also get a two-year limited hardware warranty with the camera. When you purchase this camera, you will receive the camera, remote control, USB cable and power adapter, regional plus, mount, warranty card, and manual. HD 1080p quality: You will enjoy full HD 1080p quality at 30 FPS with this camera, which means that you can look forward to excellent color reproduction as well as a sharp picture when using the device. SVC video compression: The camera comes with H.264 UVC 1.5 with Scalable Video Coding. You will enjoy smoother streaming without using as much bandwidth, as the video is processed and compressed within the camera. Full HD zoom: You also benefit from a 10X lossless zoom in full HD, which you can control with the remote control that comes with the camera. This makes it easy to zoom in and out when using the camera. Preset positions: The camera comes with three positions that are preset for your convenience. Also, there is a button to return to your home position. Mounting options: There are various mounting options that you can use with this camera. This includes using the camera mount that comes with the device, table mounting the camera, or wall mounting the device based on your preferences. Visual flexibility and control: You can look forward to visual flexibility with this camera, as it offers a field of view of 90 degrees, a tilt of 130 degrees, and mechanical 260-degree pan. USB connection: The camera comes with a convenient plug and plays USB connection. This means that you can easily connect to a USB enabled device such as a PC or Mac without the need for additional software. You get a 10 foot USB cable with the camera. Compatible with many applications: This device offers compatibility with many different applications. This includes Business Skype, Lync, and Cisco Jabber. 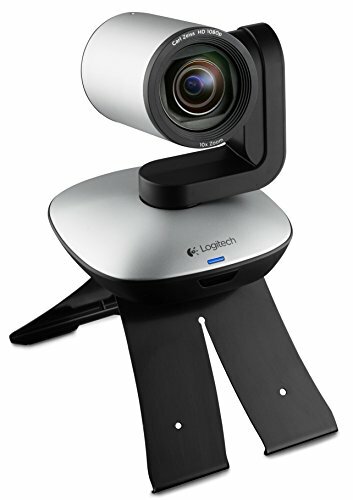 Remote control: With this Logitech camera, you benefit from an intuitive remote control with an operational range of ten feet. You can use the remote to operate the preset functions, zoom, pan and tilt function, and more. If your church or organization needs a quality camera on a limited budget, then this camera will do the job. It is easy to set up and will give you the quality video that your live stream will need. 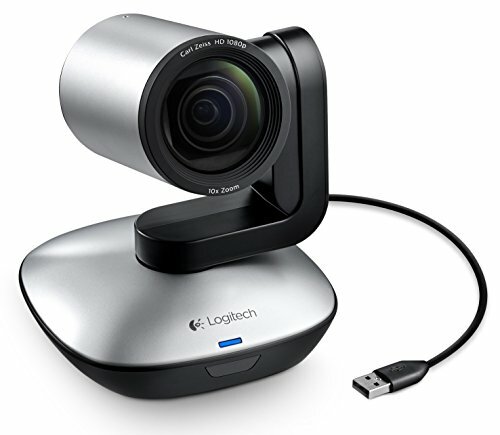 I have no problem recommending the Logitech PTZ Pro Camera for your use. It may not be the best, but it is more than adequate for the needs of a small or medium size church. Pan/Tilt/Zoom (PTZ) cameras allow you to control your camera remotely. 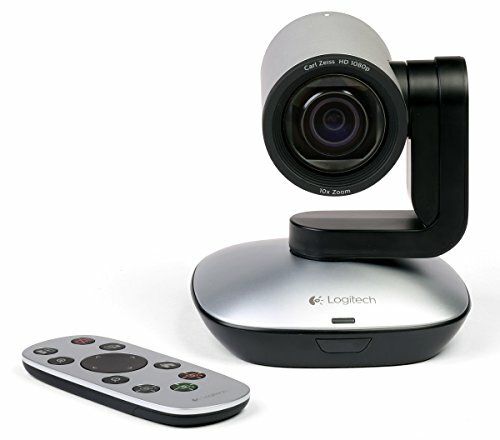 Check out our HuddleCamHD Video Conference Camera review to learn more.